A popular watery tourist draw since 1890, Evans Plunge is now an indoor waterpark complete with three body slides and warm geothermal pools. 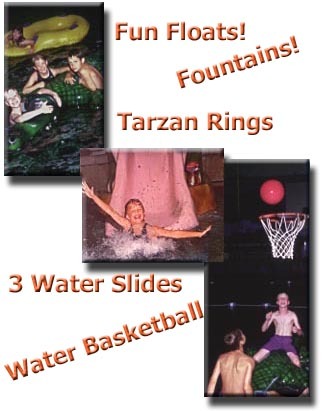 Water basketball and interactive fountains can also be found. The park is affordable. As of the summer of 2005 it was $7 for children (ages 3-12, 2 and under are free) and $9 for anyone 13-years or older.